Onion Goggles? – Jay Luker – Really? ... Wow. Just upgraded to a McMansion and looking for things to fill your restaurant-sized kitchen? Yes, that’s right: Onion Goggles. 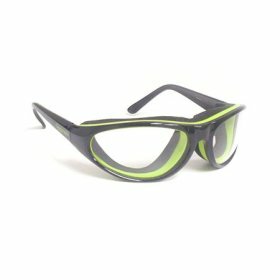 They look like plain old safety glasses to me, but I guess it’s all about how you market things.